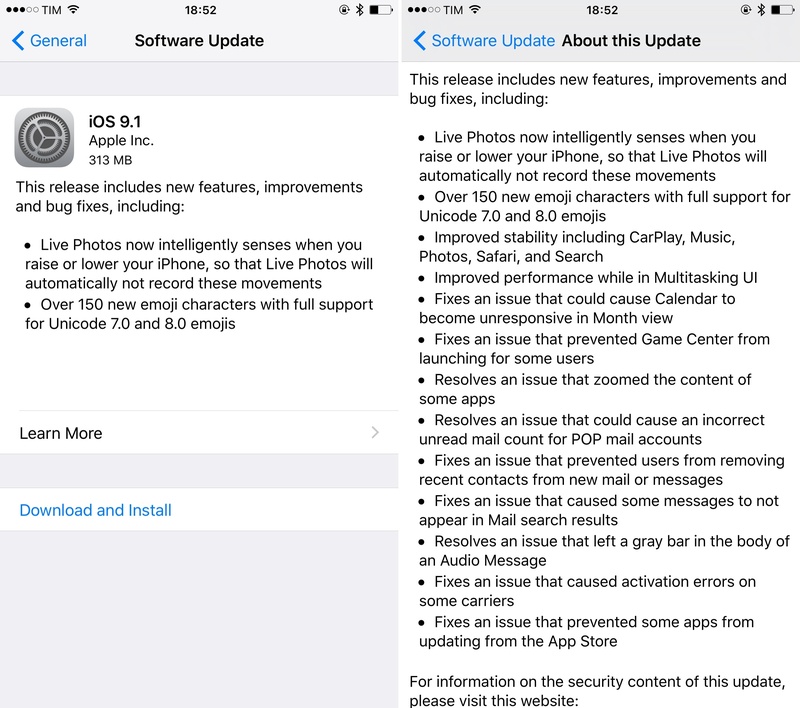 Apple released iOS 9.1 today, the first major update to iOS 9, first released in mid-September. In addition to various bug fixes and performance improvements, iOS 9.1 brings over 150 new emoji with full support for Unicode 7.0 and Unicode 8.0 emoji, and a smarter Live Photos implementation. On the iPhone 6s, Live Photos will now sense when you raise or lower your device, so it'll stop recording the video associated to the Live Photo. iOS 9.1 is available now through Apple's Software Update.